We all know we should be eating vegetables whenever possible, but it’s important to switch up the types that we cook with. 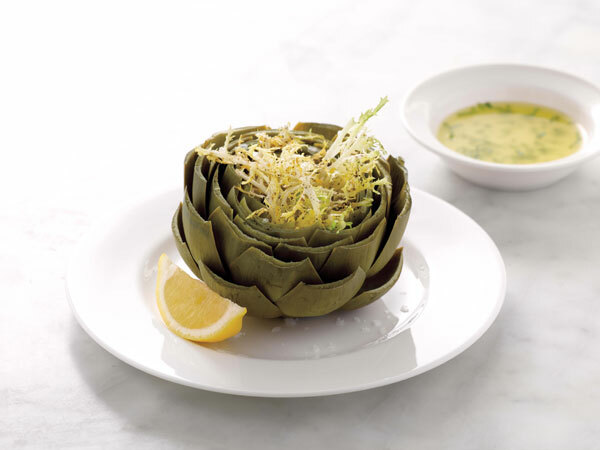 In this episode, Martha shows you how to make four extremely tasty dishes using vegetables that may not be in everyone’s regular rotation: Steamed Artichokes with Tarragon Butter, Braised Leeks, Fried Okra and Whole Roasted Garlic. Martha Stewart roasts a whole garlic which makes it almost like garlic butter. This fried okra recipe is a Southern favorite from the "Vegetables" episode of Martha Stewart's Cooking School. In a shallow dish, whisk together cornmeal, flour, salt, cayenne, and ground pepper; set aside. In a large shallow bowl, whisk together egg whites and 3 tablespoons cold water. Add okra, and toss to coat completely. Lift the okra from egg mixture, letting excess drain off; add to cornmeal mixture, and toss to coat evenly. In a deep 12-inch skillet or Dutch oven, heat oil to 375 degrees on a deep-fry thermometer. Carefully place half of the okra in the oil. Gently stir without disturbing coating. Cook until golden brown, 3 to 6 minutes; adjusting heat as needed to keep the oil temperature between 300 and 350 degrees. With a slotted spoon, transfer okra to a paper-towel-lined baking sheet to drain. Return oil to 375 degrees; repeat with remaining okra. Season with salt, and serve with lemon wedges and hot sauce, if desired.